It's Friday!! 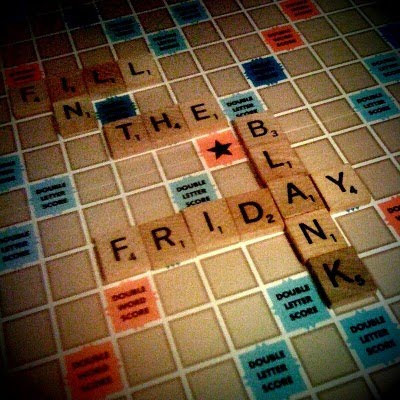 I am seriously beginning to love my Friday routine of blanks and links - maybe I should have titled this post that, haha. 2. My favorite meal of the day is tea/dinner/evening meal (whatever people call it) since starting our healthy diet we have been eating some amazing food and cooking together - its my favourite part of the day. 3. This weekend will hopefully be as good as last weekend - just in different ways. 4. Never in my life have I eaten ostrich. 5. The only thing better than blogging is tumbling- I am obsessed! 6. I could really do with some sleep. 7. The most recent thing I bought myself was a Cosmic 35 camera from ebay - a real russion, vintage, Lomo camera - I got it for £3 and it is incredibly beautiful. It makes the most amazing sounds!! I'm going to try taking pictures with it ASAP. I love it... happy sigh. everyone else is loving yellow too! I have loved Abby Try Again's spring colours week - the yellow is my fave! I love all of the images that Lavelle finds but this yellow post is especially gorgeous! Golden is just another name for yellow! and to break it up a bit - a boston terrier tea party - yeay for dogs!! p.s. One of my amazing sponsors, Mr Rabbit Sir, is having a giveaway over here! You definitely want to head over, I love Katrina's shop!